Is excitement just $2,300 too expensive? 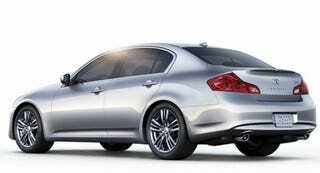 The new Infiniti G25 sedan assumes so. That's the price difference between the 2.5-liter V6-powered 218-hp G25 and the 328-hp G37. Conversely, it makes the G37 seem like a performance bargain.